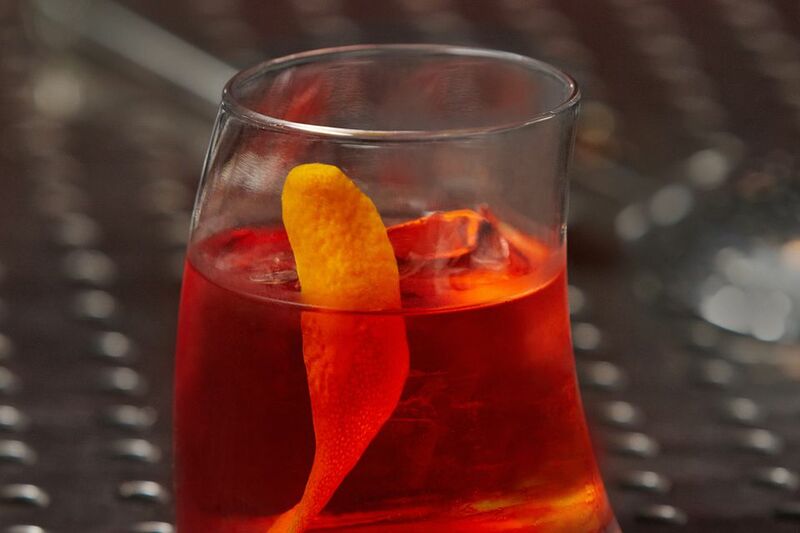 A fun twist on a favorite aperitif, the Tequilliano brings the famous Negroni into the world of tequila. The flavor profile is unique, interesting, and it's a drink that you really should try at least once. Try this drink at your next dinner party and see if your guests can name the influential cocktail as well as the twist that makes it unique. In this recipe, Sauza 901 Tequila's mixologist, Eddy Buckingham, proved that tequila does have a place in popular gin cocktails. To pull it off, you simply need to play with the proportions. Where the Negroni typically calls for equal parts gin, Campari, and sweet vermouth, here the focus is on the tequila, with the other two ingredients playing back up. You will also notice that agave nectar is brought into the mix. It is an essential ingredient that makes the tequila work against the cocktail's drier, more bitter profile. In a cocktail shaker filled with ice, combine all of the ingredients. Strain over fresh ice in a double rocks glass. Sauza 901 is a silver tequila, so it is not aged in oak. If you're going for a substitute, choose another silver tequila. The majority of tequila brands produce each of the three main styles of tequila. If, on the first round, you find that this cocktail has too much Campari, cut back to 1/2 ounce and make up the difference with vermouth. It can take a little time to get used to the aperitif's bitter flavor. A gentle introduction can help you develop the palate for it. To slow down dilution while you enjoy the Tequiliano, serve the drink over an ice ball or similar large piece of ice rather than cubes. If you enjoy the Tequiliano with silver tequila, try it with a reposado. The extra oak flavor works rather well in this recipe, bringing in an extra layer of flavor. Dry vermouth is another option for this recipe and will produce a slightly drier drink. Adding an extra spritz of citrus can be helpful as well. If you're garnishing with an orange twist, express the peel's essence over the drink by giving it a tight squeeze before adorning your glass. Another option is to add a dash or two of orange bitters. How Strong Is a Tequiliano? With three alcoholic beverages in this cocktail, including a long shot of tequila, the Tequiliano is not a weak drink. It has an alcohol content around 24 percent ABV (48 proof); equivalent to drinking Campari on its own. Getting drunk off an aperitif is usually not an issue, though and one drink is usually enough. Most people will move on to another drink as dinner progresses.